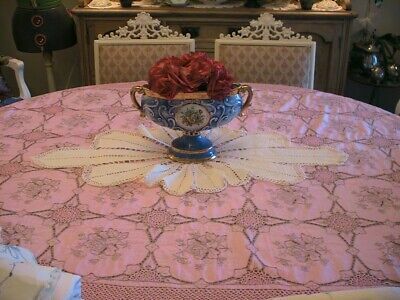 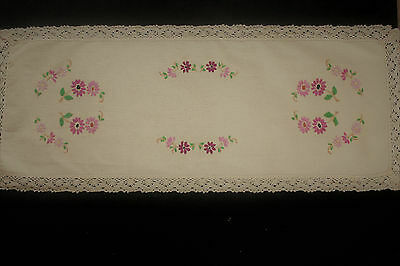 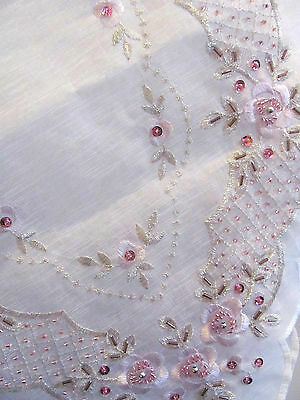 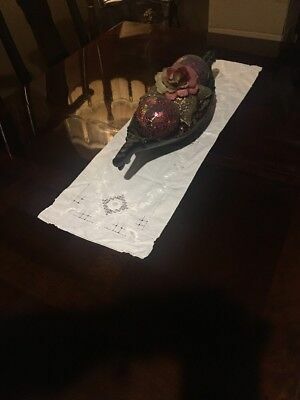 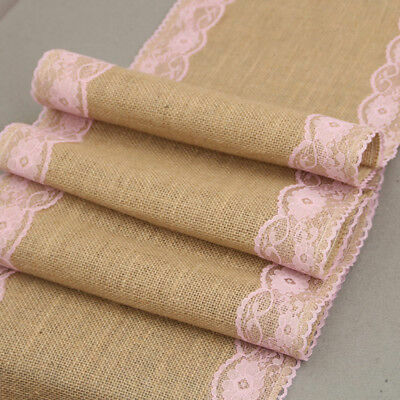 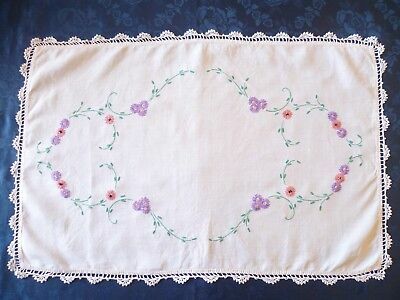 Vintage beige linen table runner with hand embroidered purple and mauve flowers. 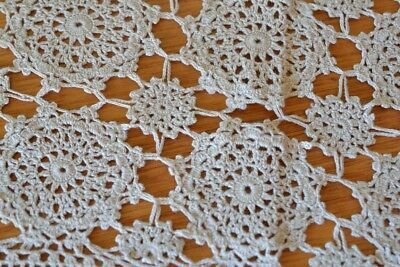 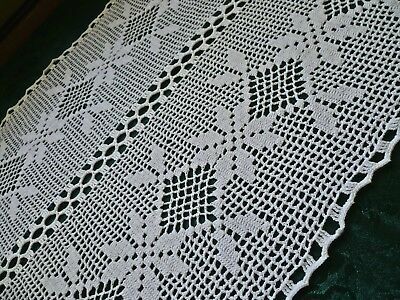 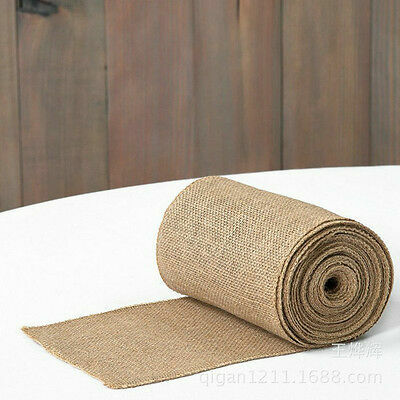 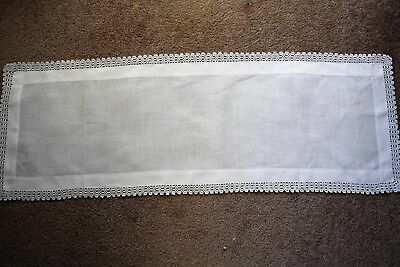 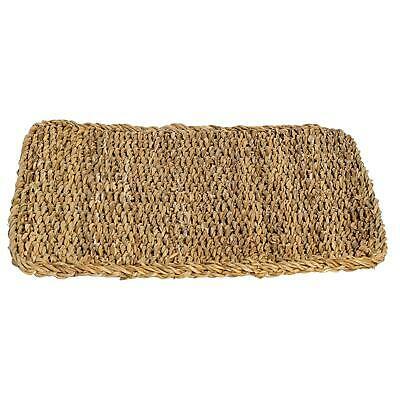 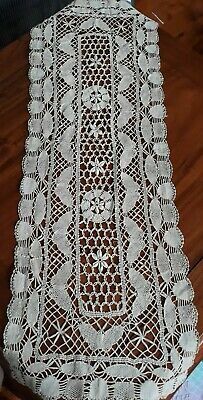 Vintage plain white linen table runner with crochet edges. 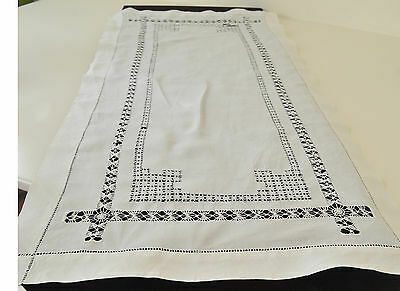 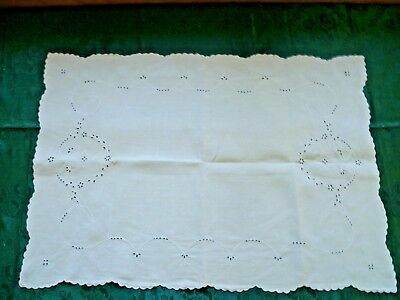 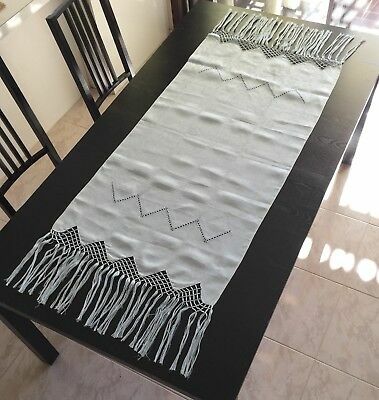 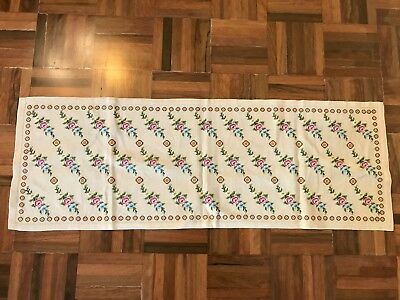 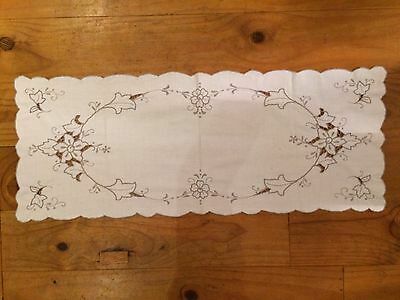 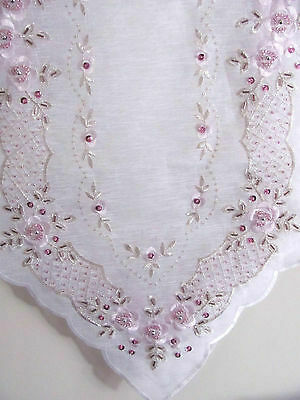 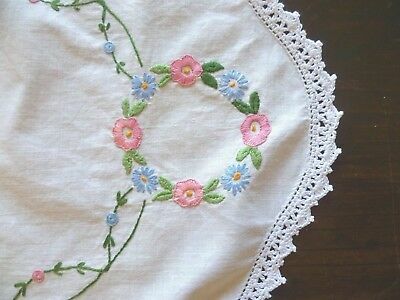 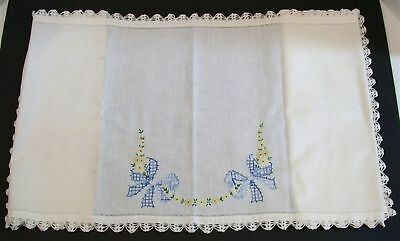 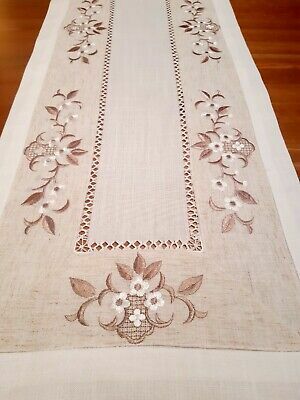 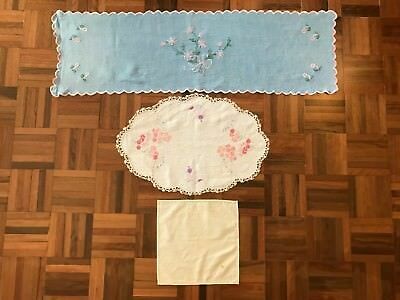 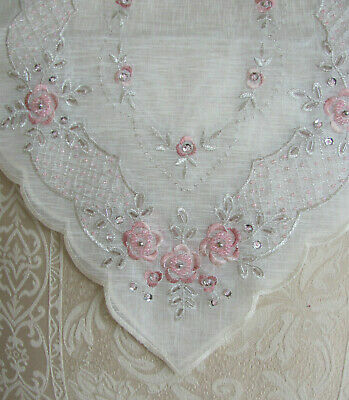 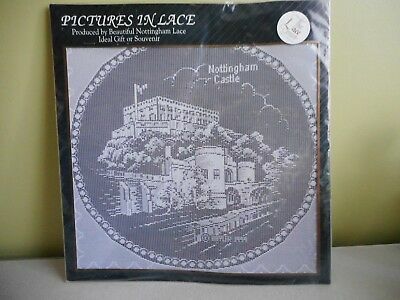 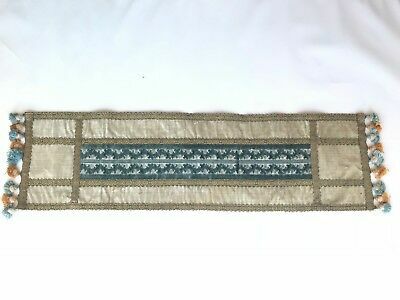 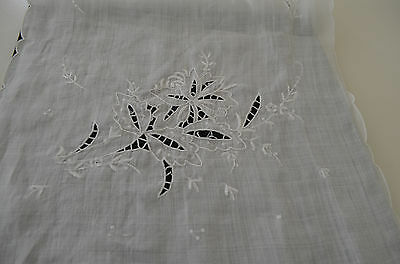 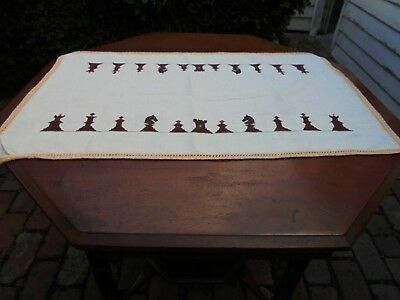 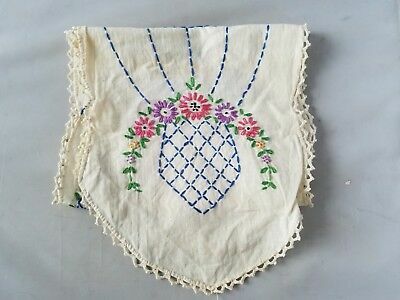 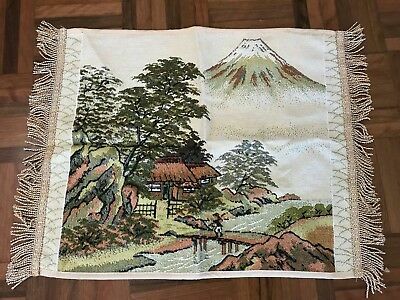 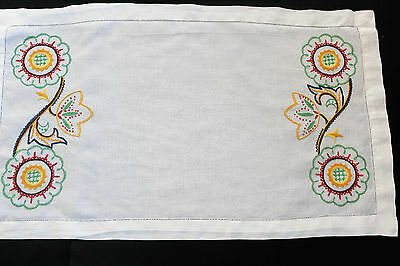 Vintage white linen table runner with hand embroidery. 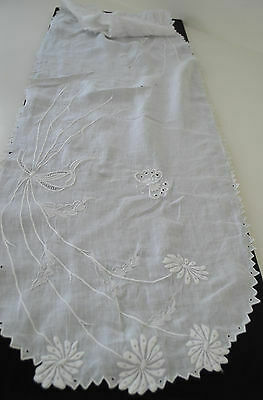 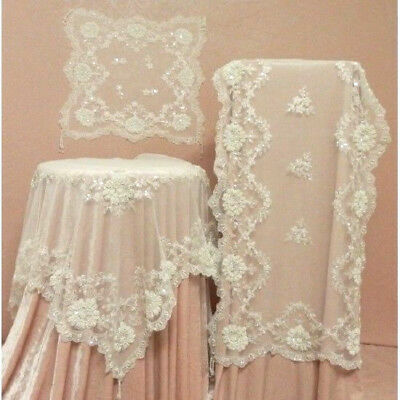 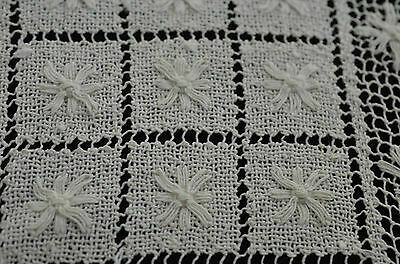 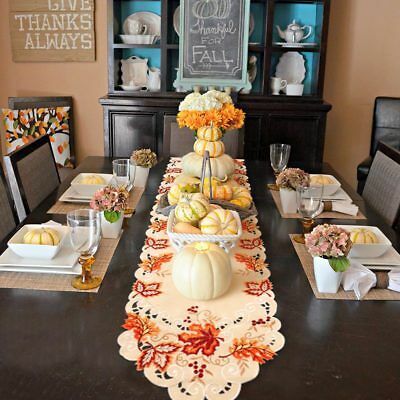 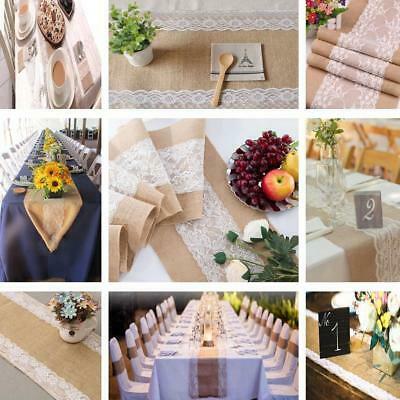 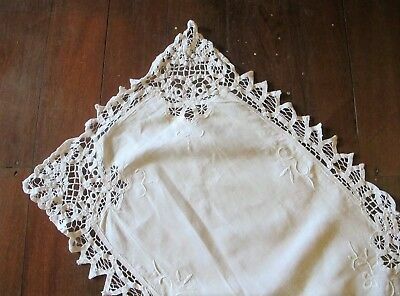 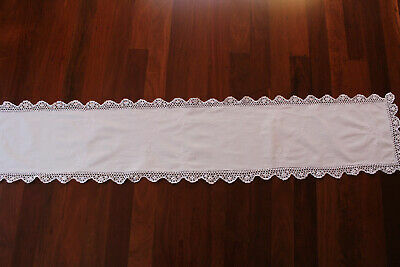 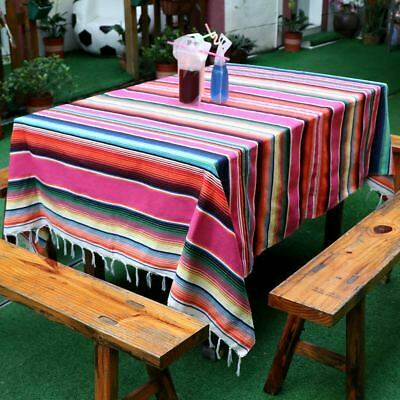 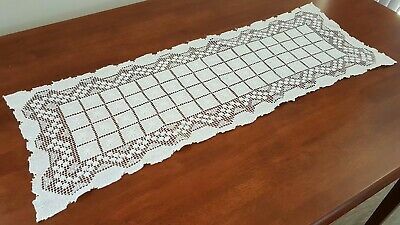 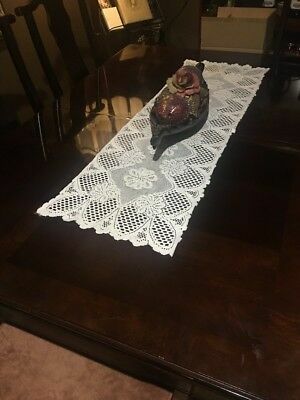 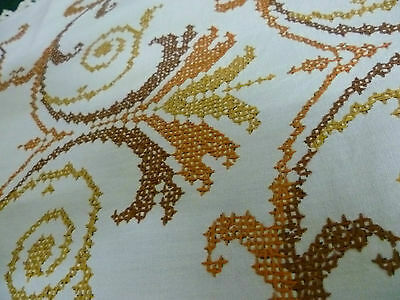 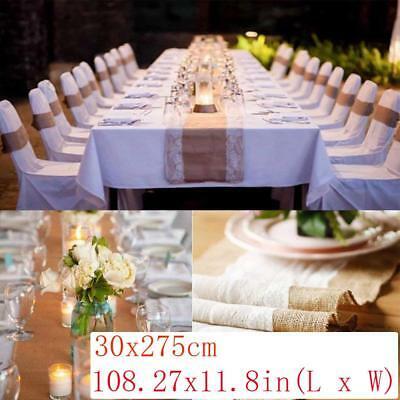 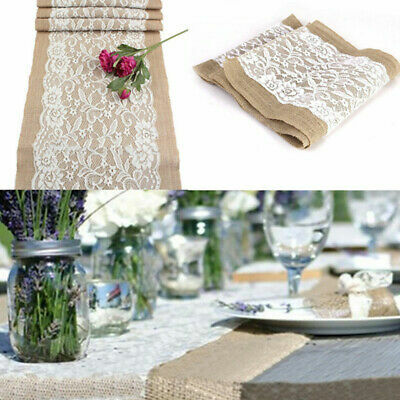 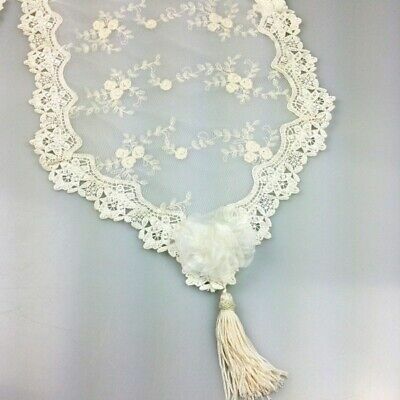 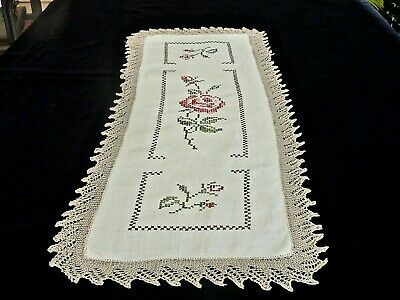 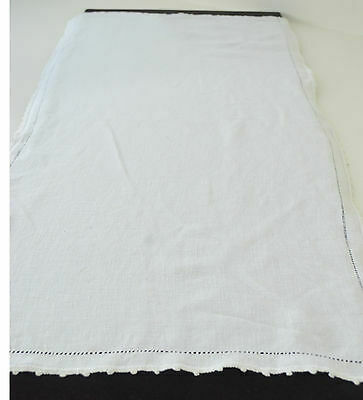 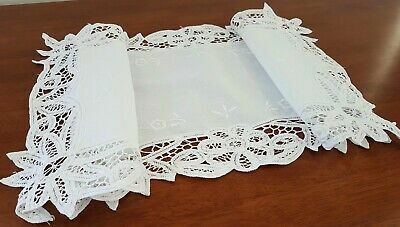 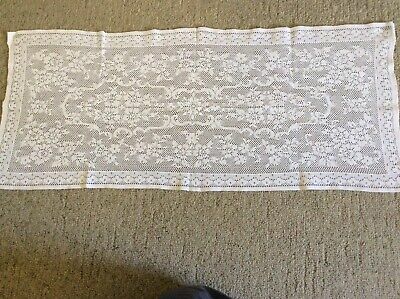 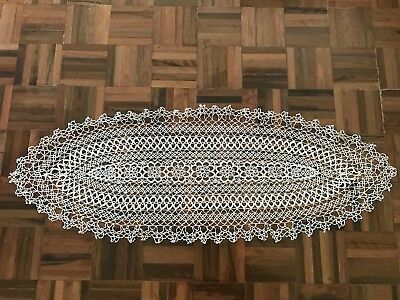 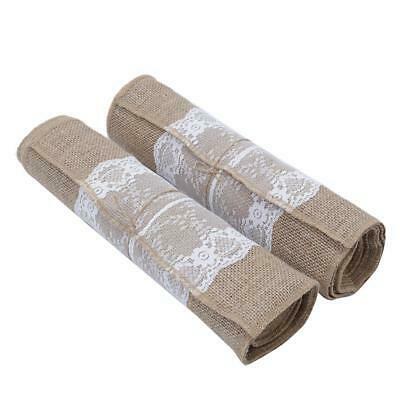 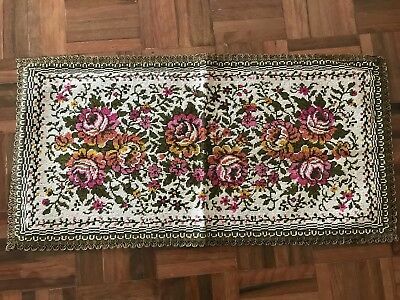 Vintage long white linen table runner with crochet edges white embroidery. 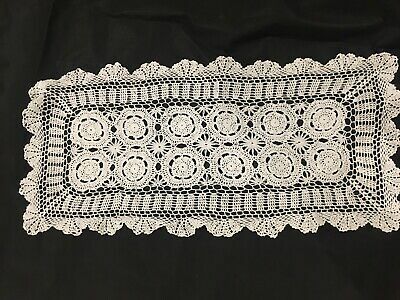 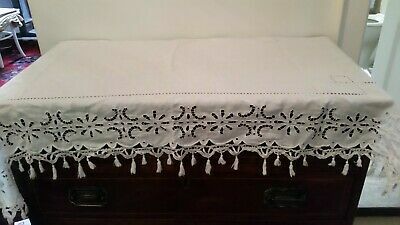 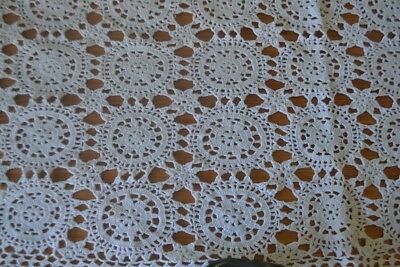 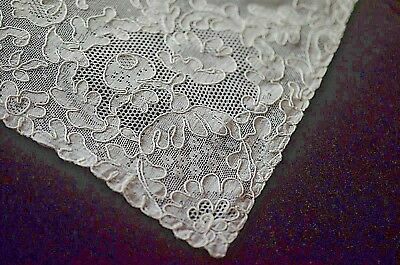 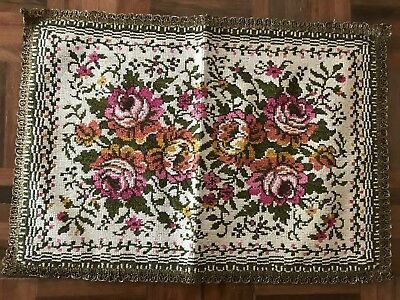 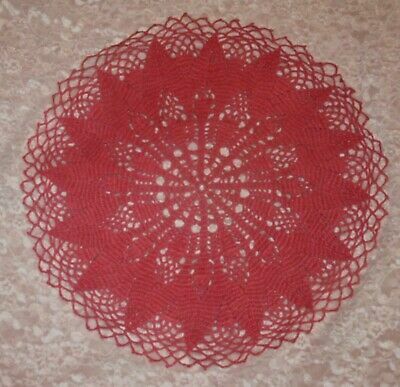 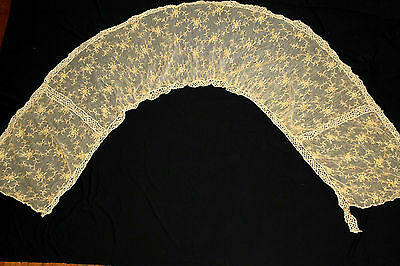 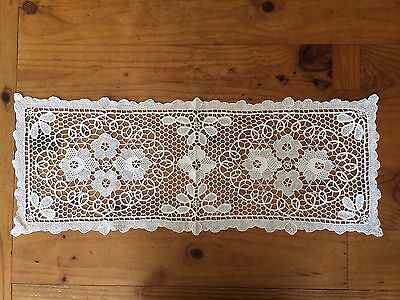 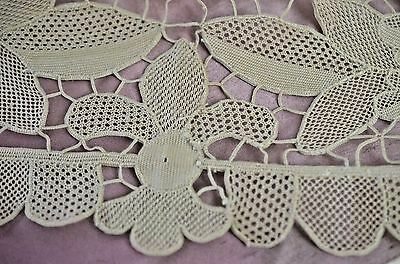 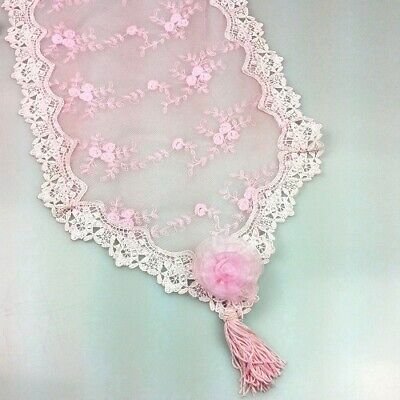 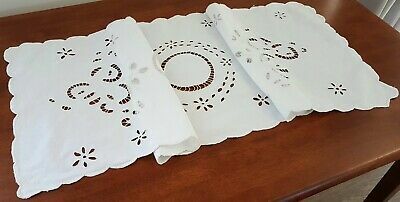 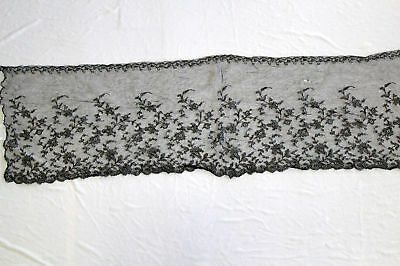 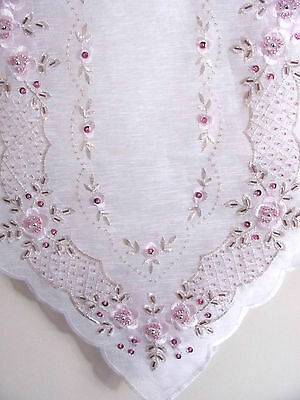 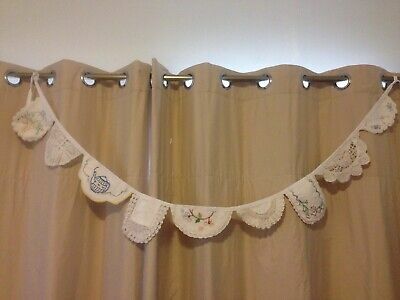 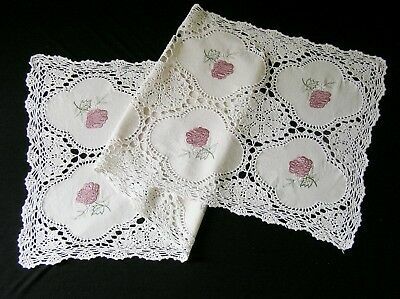 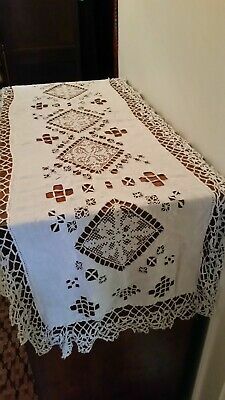 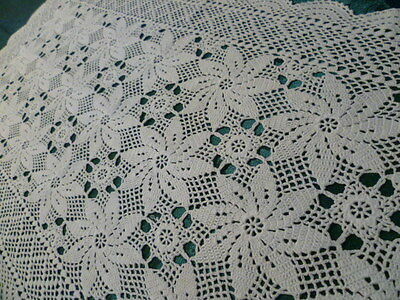 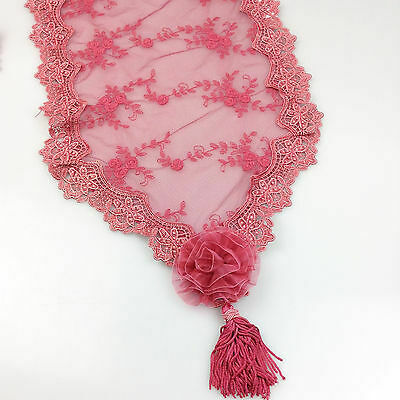 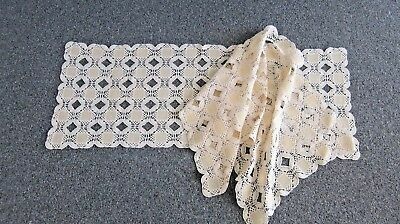 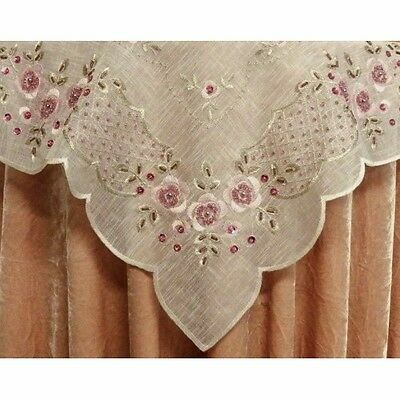 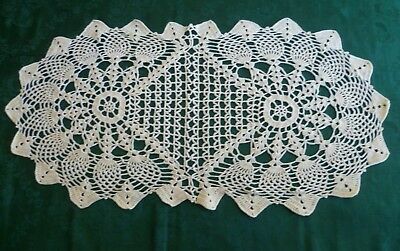 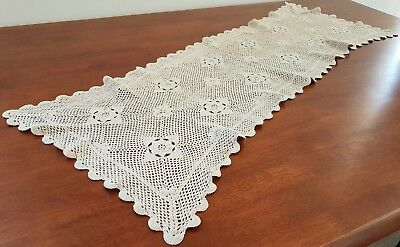 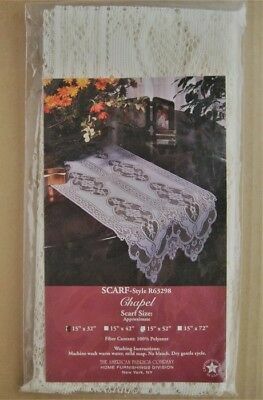 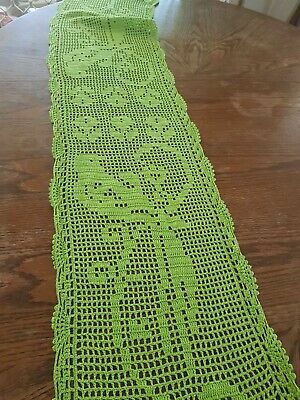 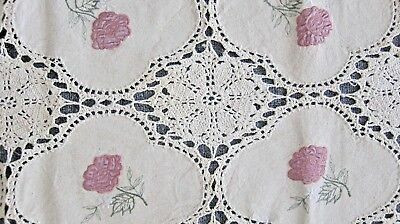 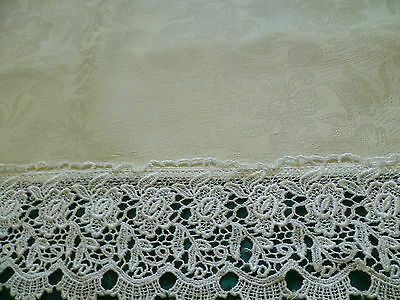 Vintage Dresser Scarf Doily ~ Embroidered with Crocheted Lace ~ 17" x 52"